Techzim recently wrote about you could earn up to $1500 per month working as a Technite. This was mainly centred around installing Kwese TV, a satellite entertainment service, which has recently seen high demand from Zimbabweans. Today, we’re going to look at how to complete Technites registration so you can become a Technite and potentially earn that much installing Kwese TV or pursue other jobs. Step 1: Know what are Technites? Well, before you can become a part of the Technites, you first have to hear about them and know what they do. Since you’re already reading this, I’d say you are on your way to completing step 1. 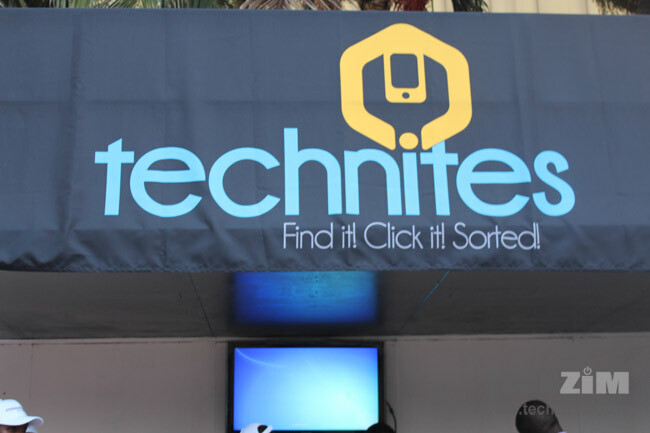 Essentially, Technites is an Econet startup that came around 2015 to provide a platform for both skilled and unskilled individuals to sell their services that are specific to home-related problems. Some of the work that you can do as a Technite could involve small trade skills like plumbing, carpentry, and electricity installation or maintenance. Generally, these are jobs that you can do on your own as an on-demand Technite and you can register independently. However, Technites also offer you jobs for work like fibre, solar, and satellite installation and for these, it’s a little bit different. For such work, you can’t be a Technite without a Super Technite who will be your supervisor. We’ll take a look at how to register as a Super Technite one day but for now, it’s a requirement for you to be registered under one. Another different thing for work like Kwese TV installation is that you’ll be placed in a team of about 8 people as a Technite and you will work together. So how do you register to be part of Technites? Right, so you know what Technites do and you’re interested in actually becoming one, how do register? Make sure you have the necessary requirements. Provide as much information and all documents required so that the form is 100% filled. The major thing that you will need to complete Technites registration is the police clearance. You need it because you’ll be entering into people’s homes to do the installation of Kwese TV or other jobs so for the safety of those people, you must not be a criminal and the police clearance will verify that. The technical qualification or work experience is important if you want to increase your chances of getting accepted, however, since you’re going to be trained on how to do the job, you could get in without it. The work experience can even be work you do yourself as an independent contractor maybe installing DStv if you are applying to be a Technite who installs Kwese TV. Once you have completed the Technites registration, you’ll be required to attend a training session before you can start working as a Technite. If you’re doing work like fibre, solar or satellite installation, you’ll be in a team and all team members have to be trained before anyone can start working. Training sessions are run every day so you can choose a day that’s good for you and just walk in and do the training. Alternatively, you could organize with your team members so that you can all attend the training session together and complete it all at once so you can all start working instead of waiting for each member to attend the training at their own time. For work like Kwese TV installation, the training session will teach you how to install the satellite since it faces a totally different direction to other satellites like DStv and you’ll also learn about the quality of installation that you’ll be required to meet when installing the satellite entertainment service. Once you’ve attended the training session, you will not need to retrain for that specific service. However, if you want to start installing fibre then you’ll need to attend a training session for that and all your team mates will need to do the same thing also. Congrats, if you’ve successfully completed all the above steps, then you’re part of Technites and can start working as a Technite. The Technites mobile application will be installed on your smartphone and it’s the one that you’ll use on a day-to-day basis when you’re doing jobs. As you’re working, make sure that the quality of work that you do is of a high standard and try to complete jobs fast also. These two qualities will help you to get more jobs and you could potentially earn that $1500/month if you’re installing Kwese TV. It’s possible because wherever there is an Econet shop, a person can get Kwese TV and that means a job for you as a Technite.